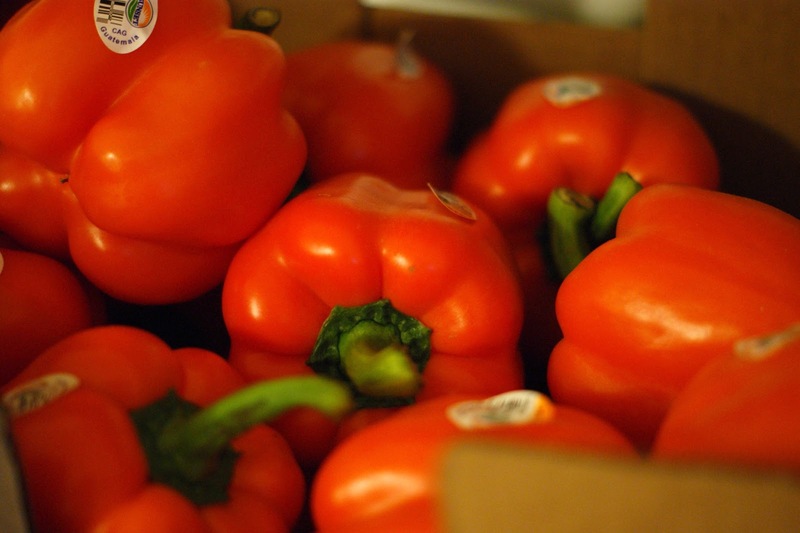 Peppers – as many as you want. I had 20 so I made 20. 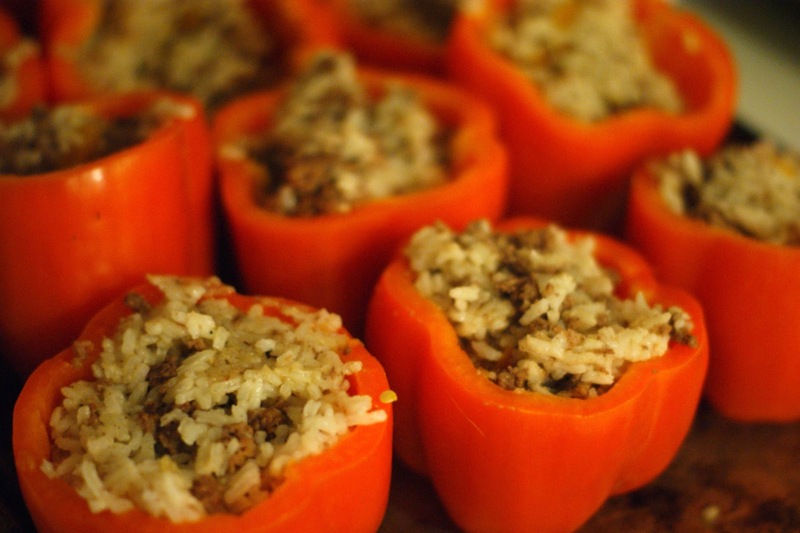 Rice – Because I made 20 peppers I prepared 6 cups cooked. Garlic Powder/ Garlic – I used garlic powder because I ran out of garlic. Onion – I didn’t have any but it would be a great addition. 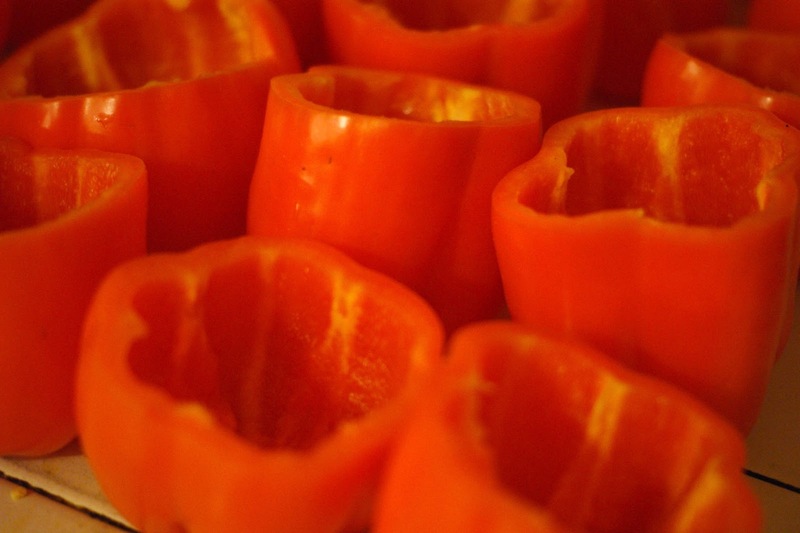 Cayenne Pepper – I put in about 3 pinches or so because I know my hubby would like the kick. In case you didn’t notice by the above, I am a feel good cooker. I cook what feels right. Feel free to taste test as you go to get the right flavor. Cook your rice. I recommend a rice cooker to make the process a bit quicker. Add seasonings, tomatoes, onion, sliced pepper, and anything to taste. 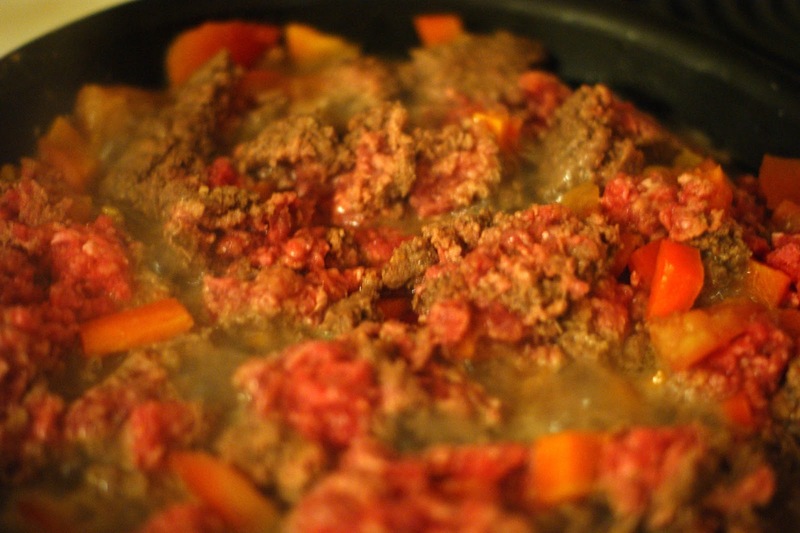 Mix together rice and ground beef mixture. At this point you can add cheese if you want it and freeze. If you intend to do this. I recommend Flash Freezing. That means putting these in the freezer for about 20 minutes and then pulling them back out and putting them in a sealable container of your choice. Put in the oven at 375 for about 40 to 45 minutes. If they were in the freezer make sure to thaw overnight before cooking or add additional cook time. From here if you intend to freeze them please flash freeze them and then seal them up. I am not sure if these microwave well or not. Please let me know. 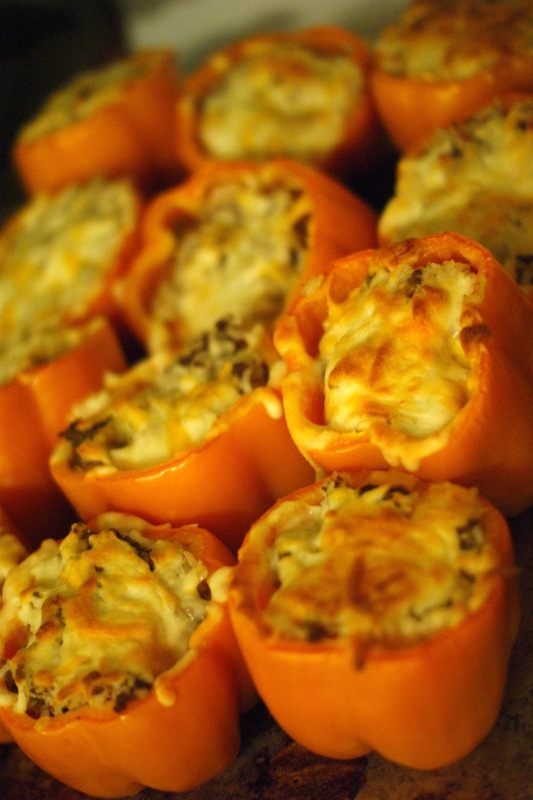 In a little over an hour of work, cooking, and clean up time I have 20 stuffed peppers.